Lake Nokomis Dream Condo! 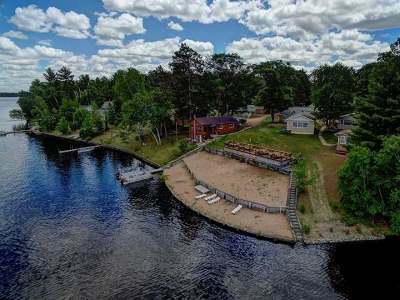 With panoramic views of the beautiful north woods and an extra-large living room, you can&apos;t pass up this 2BR 1BA lakefront condo for relaxing or entertaining! With your own pier and boat slip, you&apos;ll have a hassle-free vacation on the water. Family and friends can join you for loads of fun, whether it be fishing, tubing, skiing, enjoying one of the area restaurants, or floating around on your pontoon! Soak up the sun on the deck by the sandy beach! The choices are endless!